Leverage the international reach of Amazon.com with SellerActive’s powerful tools: product listing management, optimized repricing, and more. 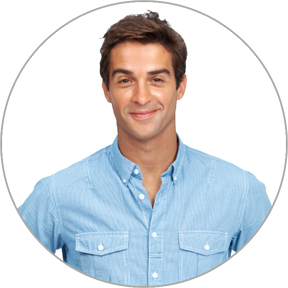 Get up and running on International Amazon marketplaces faster and more efficiently than going it alone. Our system currently supports Amazon UK, Italy, Mexico, France, and Germany. 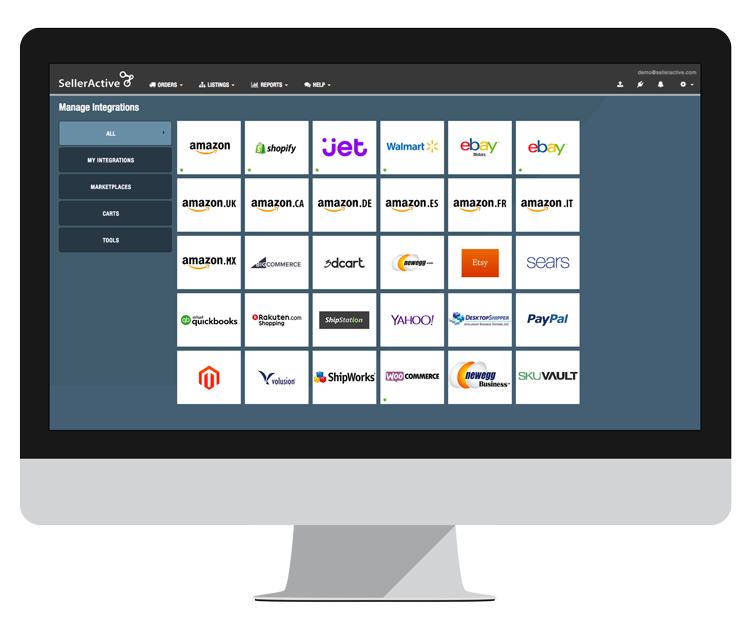 With SellerActive, you can create a centralized catalog of product listings for multiple sales channels and bulk upload them to multiple Amazon International sites. 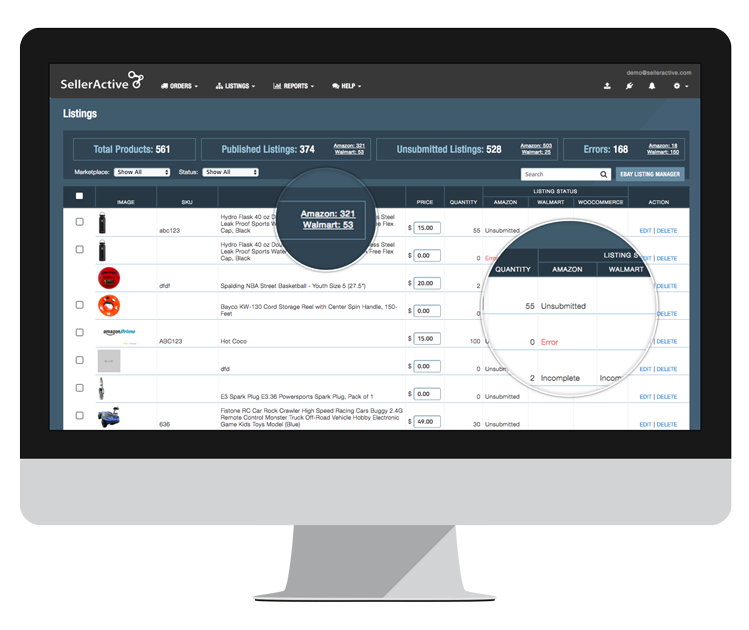 You can also use our product bundle tool to link multiple SKUs under one listing, saving you time and hassle. With SellerActive’s powerful algorithmic repricing technology, set a personalized strategy that can help you capture the Buy Box an average of 72% of the time. Choose from a variety of repricing strategy options, such as velocity or target rank pricing, to beat out the competition. "When I'm not here, SellerActive is still working. It's like having two extra employees whose full-time jobs are managing my inventory and pricing."